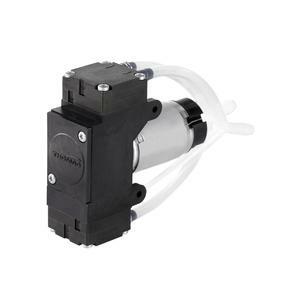 Gardner Denver Thomas in Puchheim has extended its 5002F liquid diaphragm pump family with a Twin version. This positively improves the pump characteristics such as a smooth, almost vibrationless operation over a broad pressure range. Further the Twin configuration reduces the pump's pulsation since two working strokes take place during one complete rotation of the motor. 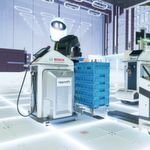 Hereby, a smaller motor torque with less current consumption is sufficient compared to single headed models with the same hydraulic performance. This design has already been tried and tested with the JADE family that was recently put on the market. Next to excellent chemical compability and a high mechanical load capacity a reliable self priming of the pump is achieved. Reason for that is the intelligent matching of all wetted materials and componenents such as hydrophobic treated EPDM elastomer in combination with graphite loaded high-performance plastic. Further combinations of materials are in preparation. The pressure height thus amounts to an impressive 25 m H20 and the suction height is 4.5 m H2O. 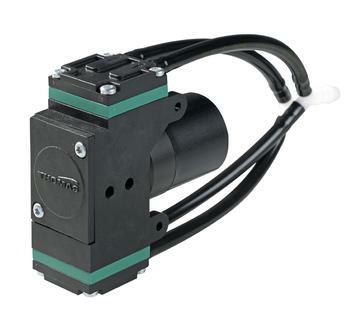 With 1,000 ml/min free flow in parallel operation, the 5002F Twin pump has an especially high specific output, as the Twin version allows for an exceptionally compact design. Various DC motors such as a low cost version, a standard DC motor or the extremely long life BLDC motor enable the adaptation possible to the most diverse applications in analysis technology, in the fields of cleaning and disinfection and in marking technology. Gardner Denver Thomas GmbH belongs to the Thomas Division of the international Gardner Denver group. 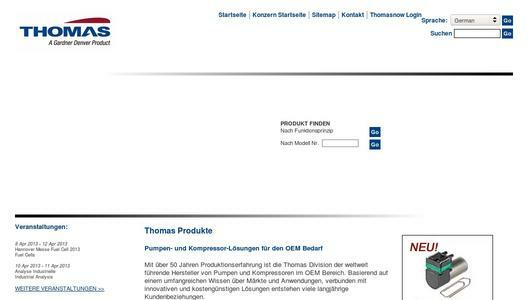 Gardner Denver Thomas GmbH develops and produces compressors, vacuum pumps and liquid pumps for original equipment (OEM).